If your drain has this constant and repetitive blockage, and there’s only a little drain flow even on regular cleaning, you must have a blockage problem in your drain that needs to be taken immediate action where the problem takes place. With the use of drain camera inspection, it is a quick tool and a better way to know the current status of your drainage and pipes. You will need a visual help on your problems so your plumber will be able to work on it immediately. You should have a better check-up and monitoring from start to the end. So how do these drain cameras do the trick? A remote controlled equipment where the camera is mounted will get the job done. The unit is pushed inside the drain and there you can see where the root of the blockage is located. Our professionals are equipped with the latest gears to have the clean-up breeze. The camera used can provide a full color video that will provide a higher level of information about your pipe status and by giving target to your drain’s condition will only mean there will be lesser renovation and replacements of your pipes and expensive repairs. 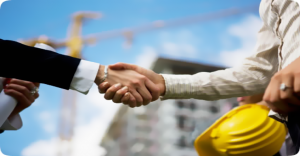 If you are in an industry or a company in Perth, it is essential that you will have comply with the safety measures of the company and other laws. Because having drainage problem is a very serious matter, you will need professionals who can offer services for drain clearing. Make sure that they can give you a visual evidence about the status of your drainage. If you need repairs, call the professional plumbers to perform the Inspection. 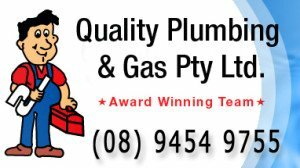 Look for the plumbing services in Perth that offers services to different locals so as to arrive at their house or office in no time and by making sure that all of the plumbing problems are being taken care of before it will get worse. Trust a company that will cater you for 24 hours, any time of the day and night and of course without any extra charges wherever in Perth.